For the Antarctica research season of 2005/2006, I was aboard the USNS Paul Buck (which has since been decommisioned) as the Radio-Electronics Officer (REO) for the trip. We made the trip south and met up with the Lawrence Gold, the Krasin, and the USCGC Polar Star. Our radio equipment allowed coverage from 1.5 – 30MHz. Voice only, no telegraph. 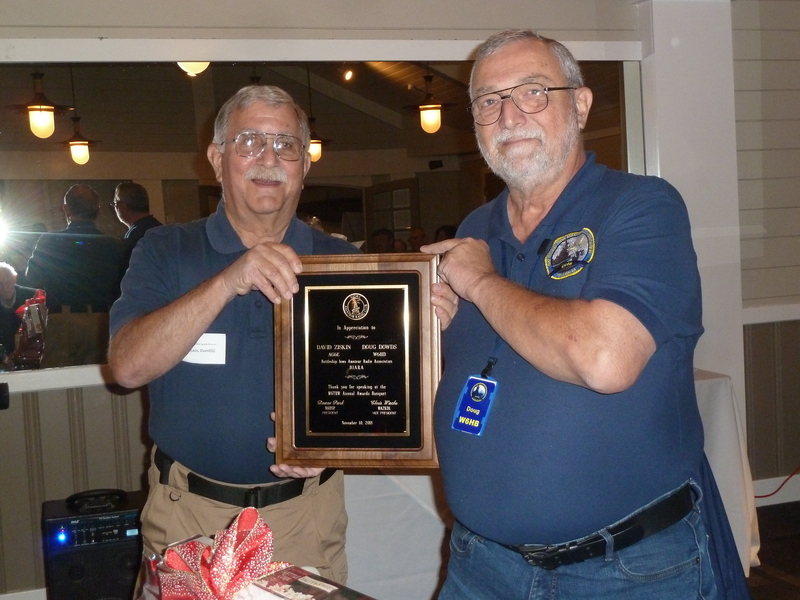 AG6E is one of Battleship Iowa (BB-61) Amateur Radio Association Directors. NI6BB is a member of K6AA, United Radio Club (URAC) located within L.A. Maritime Museum in San Pedro. Pictured: Dave, AG6E and Doug Dowds, W6HB, key note speakers at the 2018 W6TRW Awards Banquet. “I have had a ham license for over 60 years.